Healthier eating seemed to be the theme for most new food product introductions of the past year. 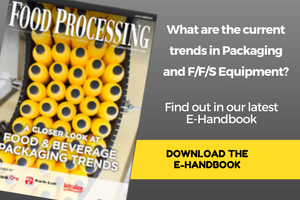 We, the editors of Food Processing, try not only to chronicle this trend but to practice it at home. It doesn’t always work. Some of us tried Atkins. Some tried South Beach. Most of us just try to use good judgment. And good judgment includes healthy doses of good taste and convenience. Without them, any better-for-you product is doomed to fail. Every year, when we begin looking back on our favorite new products of the past year, innovation plays a key role. We look for products that create new categories, that incorporate new ingredients, that use new packaging. But mostly we look for products that we buy ourselves, ones with a sufficient level of innovation but a heaping helping of good taste. Following are our picks from 2005. The list was created by the editors of Food Processing, along with our stable of regular correspondents, our Editorial Advisory Board and some votes on our web poll (always at the lower left of every page at www.foodprocessing.com). Just as low-carb dieting was on the decline, the new Dietary Guidelines arrived, bringing with them increased emphasis on grains, fiber and omega-3 fatty acids for heart health. Barilla America Inc., the Bannockburn, Ill.-based division of Italy’s Barilla Group, leapt on the opportunity with Barilla Plus. Its six forms of macaroni with multi-grains, fiber, protein and omega-3s should be plenty to entice carbohydrate-starved consumers to consider pasta again. While pasta traditionally has been considered an affordable belly filler — and noodle-makers have suffered from a commodity image — these product clearly were something more. They contain a legume flour blend (lentils, chickpeas, oats, spelt, barley, flaxseed and wheat fiber) as well as the fortifications. The box’s side panel features an interesting table comparing this product to chicken breast, ground beef, milk, egg, spinach, broccoli, salmon and shrimp on the basis of protein, fat, fiber and omega-3s. It clearly shows the high nutritional value of this pasta against those other foods. The back panel links the multi-grains to fiber, legumes to protein and fiber and ground flaxseed to omega-3s, along with the structure function claims each of these ingredients can offer. At $1.69-1.99, they’re only a little pricier than commodity macaroni — a good thing for processors yet still affordable, especially for all they deliver. They also require a slightly longer cook time than traditional pasta due to their ingredients, but that’s insignificant. Adding whole grains is a challenge for all consumers, but it’s especially difficult for parents with finicky kids. Sara Lee Food & Beverage, Chicago, gave white bread an almost invisible whole-grain makeover with the launch of Sara Lee Soft & Smooth, whole grain bread that looks, smells and feels like white bread. Now, consumers who love white bread can get the health benefits of whole grains but don’t have to eschew the taste and texture they love. Made with a blend of enriched flour and whole grain, Sara Lee Soft & Smooth contains 8g of whole grains per two-slice serving; 3g of fiber per serving, the same amount as 100 percent whole-wheat bread; and is a good source of vitamin D, calcium and folic acid — all without trans fats or artificial colors or flavors. Unilever claims to have spent two years developing this product, and the care shows. Bertolli Dinner for Two, a line of eight frozen, chef-inspired, restaurant-quality, authentic Italian dinners in a bag, garnered raves from everybody on our staff who tried them. They also were named top product in the “Entrees/Meal Solutions” category by attendees at May's Food Marketing Institute Show. Ingredients are individually quick frozen, and the sauce is frozen in cubes or chunks. Since the herbs are not precooked, the aromas are released when you cook them. The entire meal goes directly from the freezer to a single skillet to the table in 10 minutes. All you need to add is a bottle of wine and some candles. Bertolli chef Anthony Strong spent three months in Italy to perfect the varieties, which include: Grilled Chicken Alfredo; Italian Sausage and Rigatoni; Shrimp Scampi & Linguine; Spinach and Ricotta Cheese Ravioli; Chicken Parmigiana and Penne; Chicken and Garden Vegetable Primavera; Roasted Chicken and Linguine; and Shrimp, Penne and Asparagus. Bertolli Dinner for Two also is the only frozen dinner to gain unprecedented recognition by the prestigious Federation of Italian Chefs of America (FIC). Founded to promote traditional Italian cooking in the U.S., FIC chefs cite the dinners' restaurant-quality, authentic Italian recipes, professional culinary techniques and fine ingredients such as aged Pecorino Romano cheese, imported Italian pastas and Bertolli (of course) extra virgin olive oil as the reasons for the designation. Heart disease is the leading cause of death for women. Yogurt is one of their favorite foods. Both sexes can improve more than their heart-health with tasty new products from the country’s two leading marketers of yogurt. Yoplait, a brand of General Mills, Minneapolis, found the way to a woman’s heart by rolling out Yoplait Healthy Heart yogurt, the first yogurt available in the U.S. that contains cholesterol-lowering plant sterols, clinically proven cholesterol reducers. And Dannon early in the year introduced Light ’n Fit With Fiber, an extension to its Light ’n Fit line, with 3g of fiber per 4 oz. serving. Studies have shown that eating 0.8g of plant sterols — the amount in two servings of Yoplait Healthy Heart — each day over as little as four weeks may reduce LDL or "bad" cholesterol by an average of 6 percent. To the delight of consumers looking for a tasty way to control their cholesterol, Yoplait Healthy Heart is available in four flavors — Strawberry, Harvest Peach, Cherry Orchard and Strawberry Banana. Soaring sales prove that if consumers can get wellness benefits along with good taste, they will make that choice. "Often, when women set out to lower their cholesterol through the foods they eat, they think they need to remove their favorites from their diet,” says Jean Storlie, manager at General Mills' Bell Institute of Health and Nutrition. “With Yoplait Healthy Heart, they can continue to enjoy Yoplait yogurt while getting the cholesterol-lowering benefits of plant sterols." Plant sterols naturally occur in certain foods. However, to get the same amount of plant sterols as two servings of Yoplait Healthy Heart through other foods, it would take one of the following choices: 22 servings of Brussels sprouts; 24 servings of broccoli or cauliflower; 70 large carrots; 100 medium potatoes; 56 servings of wax beans; 44 medium apples; or 26 oranges. At 3g of fiber, Dannon Light 'n Fit with Fiber is a good source of fiber, but with a smooth and creamy texture, not the dry, grainy texture common to other fiber-filled products. And at 70 calories, it qualifies for the Light 'n Fit name. Of course it contains live cultures, potassium and calcium and is low in cholesterol and fat-free. Somebody pinch me: Eat chocolate for health? Speaking of heart-health, Hackettstown, N.J.-based Mars Nutrition for Health & Well-Being, a new division of Mars Inc., introduced CocoaVia, its first heart-healthy snacks line. A chocoholic’s dream come true, this revolutionary new line combines real chocolate pleasure with ingredients formulated to promote a healthy heart. Just two servings a day can significantly reduce LDL or "bad" cholesterol levels and promote healthy circulation to maintain heart health. After 15 years of scientific research on flavanols, Mars developed a patented and proprietary process called Cocoapro that helps ensure the heart-healthy flavanols remain active and are not destroyed. This technology guarantees CocoaVia contains a consistent level of cocoa flavanols – which is what really counts when you're talking about cocoa and heart health, according to Harold Schmitz, chief science officer at Mars. "The very exciting potential heart-health benefits of cocoa flavanols is not about simply adding more cocoa or consuming any dark chocolate," adds Schmitz. "In fact, the percentage of cocoa in a product is meaningless. Research from several universities clearly shows that it's about retaining the flavanols from the cocoa bean so you're confident of enjoying a flavanol-rich, cocoa-based product." CocoaVia, which contains a patented blend of cocoa flavanols, also contains cholesterol-lowering plant sterols from soy, and is fortified with calcium and a mix of heart-healthy nutrients including folic acid, vitamins B-6, B-12, C and E. And there are only 150 calories per serving. For a generation of landlubbers, tuna was “chunk white” and it lived in a can. Without familiarity of the shore or the help of upscale restaurants, not much more was expected, and the end result was almost always tuna salad or a casserole. Once feared by many, seafood now was ready to eat in 15-30 seconds, precooked and wonderfully marinated. And with potentially no cleanup. Bumble Bee got the ball rolling in January with its Prime Fillet Albacore Steak entrées. They are available in Lemon & Pepper, Ginger & Soy and Mesquite Grilled varieties. Del Monte followed suit this September with StarKist Tuna Fillets in Albacore Lemon & Cracked Pepper, Light Meat Teriyaki and Light Meat Lightly Seasoned. Inability to control portion size is one of the main reasons Americans are overweight. But it isn’t simply a matter of pushing oneself away from the table. Packaging labels are confusing, so much so that many consumers don’t bother to read them. And snacking, rather than regular meals, is a consequence of on-the-go lifestyles. Kraft Foods’ Nabisco unit, East Hanover, N.J., made it simple and convenient to control both portion sizes and calories with 100 Calorie Packs of its best selling snacks. With only 100 calories, 0-3 g of total fat, no trans fat and no cholesterol, these preportioned snacks fall under both the relatively healthy and convenient categories. We chose this as one of our favorite products because it’s convenient, making life easier for time-impaired consumers – no weighing, no calculating, no guessing. Varieties include: Oreo Thin Crisps, Chips Ahoy! Thin Crisps, Wheat Thins Minis, Kraft Cheese Nips Thin Crisps, Planter’s Peanut Butter Cookie Crisps, Honey Maid Cinnamon Thin Crisps and Ritz Snack Mix. Sometimes technology or at least process improvements are needed to bring about a decidedly improved product. Dreyer’s Grand Ice Cream, Oakland, Calif., a year ago unveiled a proprietary manufacturing process similar to kneading dough that disperses fat and subsequently requires less. Dreyer's/Edy's Slow Churned Grand Light ice creams, with 50 percent less fat and 30 percent fewer calories, made their grand debut in 2004. The launch was so successful, Dreyer’s came out with a similarly processed Haagen-Dazs Light this year. Dreyer’s/Edy’s, a Nestle affiliate, further shook our bon-bon this summer with the introduction of Dibs, bite-sized poppable coated ice cream bon-bon snacks. Packaged in an easy-to-share 9-oz. container containing more than 60 pieces, Dibs are available in five varieties – Vanilla ice cream with Nestlé Crunch coating; Vanilla ice cream with Nestlé Drumstick cone coating, Mint ice cream with chocolaty coating, Vanilla ice cream with chocolaty coating and Chocolate ice cream with chocolaty coating. Dibs prove that ice cream bon bons are a wonderful and fun way to share a tasty snack with those you care for. They also are a simple way to control portions. Now, if only we can get them into movie theaters. What a simple and terrific idea: shredded cheese flavored with real, fresh herbs and spices. Sargento’s Bistro Blends turn out to be excellently executed, as well. Do we really want calcium in our soda? We’re all for fortification around here; we even have a magazine (Wellness Foods) devoted in large part to the subject. But a mere “10 percent of your RDA of calcium per 8-oz. serving” is not a compelling enough argument for a fortified food, especially a carbonated soft drink. Still, that alone is no reason to call 7-Up Plus a mistake. But most people who have tasted this concoction found additional reasons to write it off. Simply put, it fails the taste test. “Poorly executed flavors and sweetener” says one of our Editorial Advisory Board members, a product developer. Why calcium? Why not at least some vitamin C? That would seem to be a natural for a fruit-flavored drink. Why even add fruit flavors to 7-Up? Maybe this launch required a whole different brand as its carrier. The addition of Splenda sucralose in this case doesn’t help the taste any. Surprisingly, neither does the 5 percent apple juice component. And this is not a zero-calorie product: 10 calories and 2g or carbs should not scare any dieters away, but they’re not assets either. Nevertheless, Cadbury Schweppes added cherry and island fruit to the original mixed berry flavor. In advancing the low glycemic index theory of dieting, Solo GI Nutrition Inc. encourages consumers to “move from low carbs to slow carbs.” It’s the advance strike in what may be described as a new assault on the consumer with nothing more in mind than filling the vacuum of misdirection and fad nutrition created by the collapse of the Atkins craze.